Anne (not her real name) came to see me to work on her relationship with her boyfriend and also to work on having more confidence and self-esteem. According to her, her boyfriend had all kinds of issues and did not treat her well. She thought she could “fix” him. To her, her lack of self-esteem and confidence was not tied into her choice of a partner; they were separate. Sitting in the chair across from me, I saw a young woman struggling with stress she said came from her relationship. I asked her about her self-esteem. Not great. How about confidence? Well, turns out, she was confident and competent in her job- but in other areas of her life, she was not. For example, she did not work out in a gym because she didn’t want to wear tight clothes. She didn’t go to the beach in a bathing suit because she felt she would be judged. I asked her about her parents and her childhood. According to Anne, she had a “normal” childhood. Okay, “normal” doesn’t exist- especially when this person had revealed self-image and relationship issues. What did her parents model for her as a child? Curious, I asked her if there were any traumatic events that occurred in her past. How was her parents’ relationship? How did they parent? Did she have siblings? (No.) How was her relationships with each of her parents? It soon became apparent that her mother’s perfectionist ways affected my client deeply. And, it affected her parents’ relationship as well. At first Anne didn’t realize the connection. She had minimized it as a way to cope. “I never felt like I was enough.” Does this sound familiar? This is a HUGE belief people take on during their childhood that stays with them well into adulthood. That is, unless they become aware of it and take the steps to work through it. Here’s a woman who initially said she had a wonderful childhood, however after one session, it became clear that she had a huge limiting belief. At this point, our sessions changed. With her childhood belief that “everything was great” now busted, she then began to disentangle her old story- that she used to feel like she was not enough- to a new, more empowering story. Sitting in front of me was a person who had a history of choosing partners who treated her poorly. Now it made sense to her. Her belief that she was not enough manifested in the partners she chose to date. She doesn’t think highly of herself so she chooses men that reflect that belief. And, she learned she didn’t have to “fix” him. She could focus on her own self and begin to accept, ask for, or reject behaviors from her partner. I continually reminded her to focus on those things she could control. This client, like so many others, deals with the “I’m not enough” syndrome. It shows in their life choices like relationships, and it shows in the quality of their life. “I’m not enough” affects so many people. 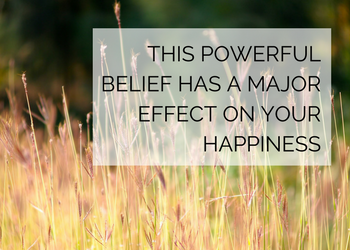 It doesn’t matter where the belief came from (but it’s nice to be aware of the starting point), however it does matter how you’re going to transform this belief into something more empowering. I would say that many women in particular, struggle with the belief of “I’m not enough.” This affects your self-esteem and confidence. 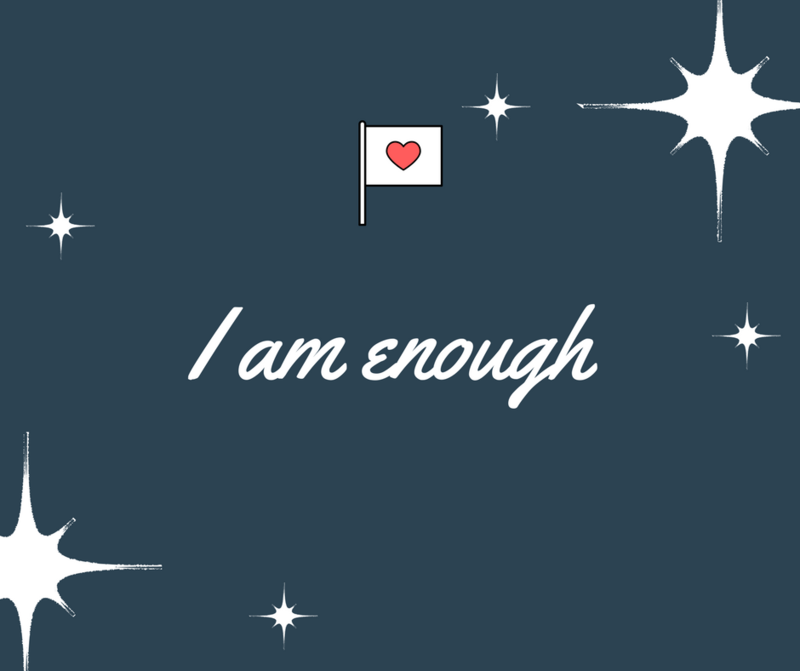 This “I’m not enough” belief affects the way you go about life. Your mind filters experiences, conversations, thoughts, etc. and processes them with the filter of “I’m not enough.” What does this look like? Well, do you feel a lot of guilt? Or shame? Do you put yourself down? Do you lack confidence? Self-esteem? Do you put a lot of pressure on yourself to be perfect? Do you give up or not even try? You don’t have to struggle with not feeling enough anymore. The first step is in acknowledging it exists and it affects you. The second is to do something different. Key word here is “do.” Do affirmations. Become aware of your self-talk and change it to more supportive and loving thoughts. Set and reach goals to prime your mind for success. There are many ways you can change limiting beliefs- no matter how long you’ve had them. You deserve to have an amazing and extraordinary life. You don’t have to keep living with beliefs that you took on in childhood. Do you feel like something is missing? Do you have low self-esteem or lack confidence? Do you need more motivation, direction, or purpose? Are you having issues in your relationship? WHAT WOULD IT MEAN TO HAVE AN AMAZING LOVE + LIFE? Would you be living a more inspiring + beautiful life? What would that look like? Wouldn’t it be wonderful to have more clarity? Would your home be your haven? Would your relationship(s) be amazing? Would you wake up in the morning excited for the day? Would you have an awesome morning routine? Would you be excited about your future? You’re in the right place. I’ve worked with hundreds of clients just like you who were stuck- in life and in love. They are creating the life of their dreams. Don’t you deserve that, too? CONTACT ME HERE and get started today on the life + love of your dreams. Obviously, what happens in our childhood can effect us for the rest of our lives. But we can change all that if the effect is negative. It comes down to realizing what the problem is and only then you can start making changes. I’ve used to be this person who always said “I’m not enough”. I was pretty sad and anyone could’ve effected me by saying something negative. I was tired of this kind of life, so I started affirming myself that I’m worthy and I’m powerful. Of course, affirmations are not the only thing I did, but it was the first thing. It magically lead me to so solutions that helped me turn my life around. Understanding the human psychology is not an easy thing to do, but we have the power in our minds to change our lives completely. To change or remove any belief, as well as plant new beliefs. You can choose either to be sad or happy. It’s all a choice and I’m happy I realized that!